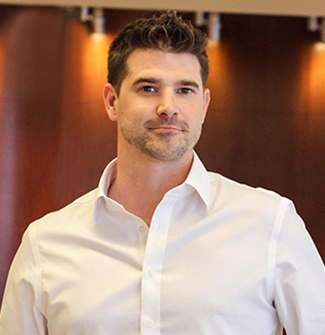 Andrew Erskine has developed his legal career along with the rise of the tech startup scene in Los Angeles. 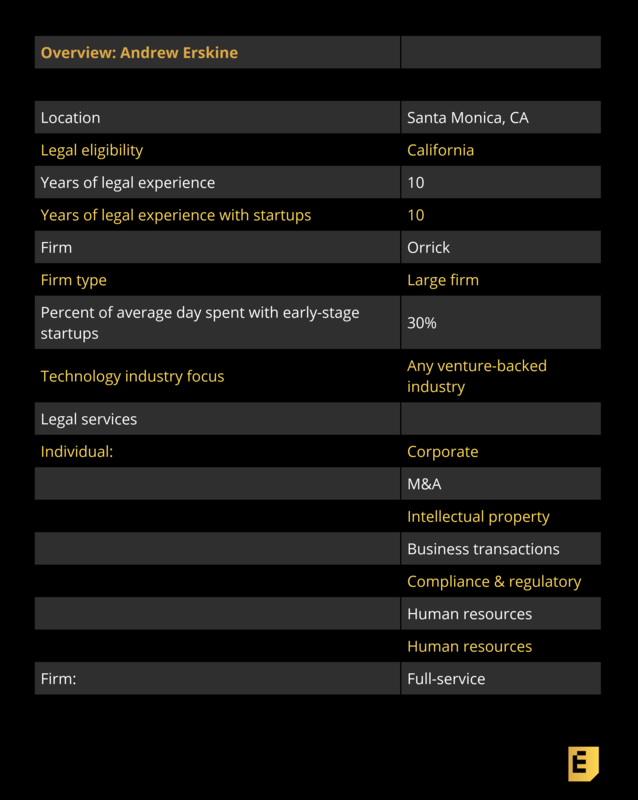 Today, as a partner at Orrick in its Santa Monica office, he works with companies large and small in the area and beyond. “The LA community has gotten to a point where it’s sophisticated and it’s significant. It’s one of the largest communities in the world, but we still need to be doing what we can to protect it and support it and help it grow further. It’s because we touch so many early-stage companies and, obviously, we have a lot of communication with early stage investors and as you go up the chain, mid-late stage as well, a lot of it is also just trying to make sure that people are being connected the way that they need to be. “We’ve had acquisitions in the ten figures in recent years where people were coming out of the woodwork at the very last minute saying, ‘Hey, I own a piece of this company.’ And it was just something that founders never really thought to raise and then of course you’re dealing with the huge issue at the most critical point in the company’s history. So, things like that will happen. Eric Eldon: How did you get involved with tech companies and startups? Andrew Erskine: I was a summer associate over here in LA and a bunch of outside groups would come talk about what they do. There was like one guy in the city working with startups and he came in and explained what he did and that was it. I heard him and I was like, “That’s what I want to do. Period.” Just the way that he described what he was doing, the level of contact that he had with the people that are making decisions at these companies, the actual founders and lead investors, and the ability to not just be providing purely legal advice, but really trying to help these companies grow and build a vessel around them, giving them business advice, personal advice, whatever it is. It just sounded so much more fascinating than the idea of being one out of 100 on a deal and I just decided that I had to do it and it turned out really exactly how I hoped it would. Eric Eldon: Can you just tell me more about how you see a lawyer playing a role in developing a tech startup ecosystem?